Kratom is a psychoactive drug that has been classified as an opioid. The drug has also been loosely tied to 44 deaths. Kratom remains legal in a majority of US states but is banned in several countries. The Food and Drug Administration calls it a dangerous opioid, but kratom advocates call their pill of choice a life-saving supplement. But unlike most opioids, which are either illegal or must be prescribed by a doctor, kratom is widely available online. It was even sold for a time out of an Arizona vending machine. Marketers tout kratom as capable of delivering super-human strength and feelings of euphoria along with powerful pain relief and better focus. Kratom is also sometimes hailed as a way to treat opioid addiction. 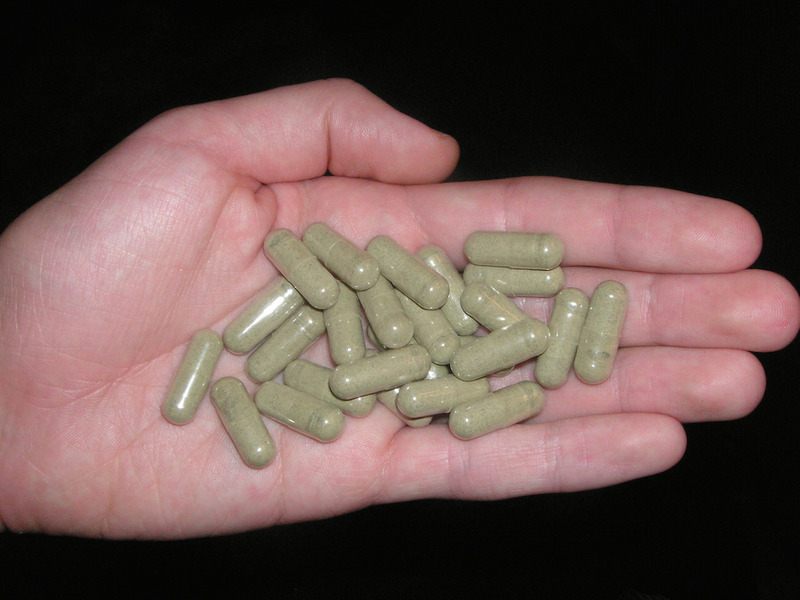 Experts say that as with any unregulated supplement, kratom may be dangerous and even deadly. But they also say it makes sense that some people are flocking to a drug with kratom's properties as a means of dealing with addiction to more powerful opioids like fentanyl. Since last November, kratom has been loosely connected to 44 deaths and 40 cases of illness, according to the FDA and the Centers for Disease Control and Prevention. Ultimately, however, kratom has not been definitively implicated in either all of the illnesses or all of the deaths, though the drug seems to be the likely culprit for the salmonella. Except for one individual, all of the people whose deaths were traced to kratom were also taking other drugs, in some cases including other opioids — making it impossible to definitively label kratom as the cause of death. Among the people interviewed by the the CDC who had salmonella, the majority said they had consumed kratom, and officials in two states found Salmonella bacteria in the kratom powder used by people who had gotten sick. Many kratom users appear to be turning to the drug as a means of stepping down from opioid painkillers like heroin and morphine. Because kratom's main psychoactive ingredient (a compound called mitragynine) functions like an opioid, it would make sense that people who are suffering withdrawals from a stronger drug are using it to reduce their symptoms, David Juurlink, a professor of medicine at the University of Toronto, told Business Insider. "People who go through opioid withdrawal, they’re going to get sick," Juurlink said. "It's a horrible thing to go through. We have ways of dealing with that at the doctor’s office. But I can see how someone who’s suffering could derive meaningful benefit from something like this." That said, trying a drug that hasn't been tested for safety in the absence of a medical professional is very dangerous, and may be deadly. People will likely encounter difficulties determining the proper dose, verifying the drug's contents, and assessing if there are any potentially harmful interactions with other drugs or medications. Kratom is currently banned in Australia, Malaysia, Myanmar and Thailand. While it is banned in several US states, including Alabama, Arkansas, Indiana, Tennessee, and Wisconsin, it is legal elsewhere. Still, the Drug Enforcement Administration has placed kratom on its list of "drugs and chemicals of concern" and in 2016 proposed a nationwide ban.